1. Mohan Lal plays a black magician: We have seen the versatile actor in various roles but a black magician would be a first, even for him. Described as “half man half beast”, a veil of mystery and darkness has fallen upon the character as “Odiyans” are assumed to be extinct. 2. 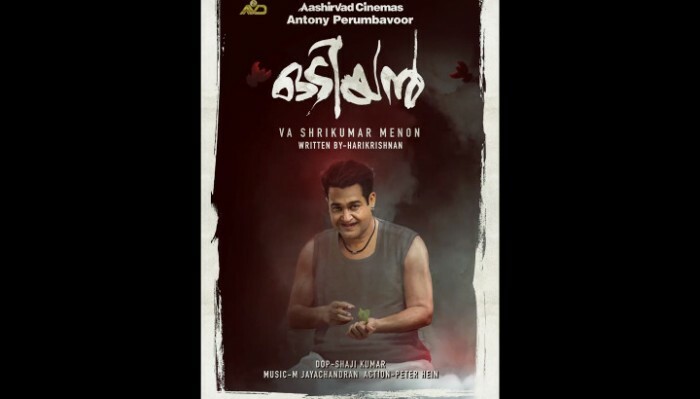 The most expensive Malayalam movie to be made: The directorial debut of ad maker Shrikumar Menon, Odiyan, is supposed to be the most expensive Malayalam movie to be ever made. As the shooting of the movie just began this August, we will have to wait to get the actual numbers. Will Bahubali’s budget be outnumbered? 3. The decorated cast and crew: Manju Warrier, Lal and Prakash Raj will be playing prominent roles in the movie. Peter Heins, the stunt master who taught Mohan Lal to be Pulimurugan, is training the star for this movie too. The scripting has been done by National Award Winning Writer, Harikrishnan. 4. The story has never been told before: The story has never been filmed before and it takes you through Kerala’s growth over a period of 50 years. Cultural impacts post and pre-electrification in Kerala has also been highlighted along with the story of various tribesmen. 5. It’s Mohan Lal, our Lalettan: Well, this might be the most important reason for a Malayali movie fan to watch Odiyan!